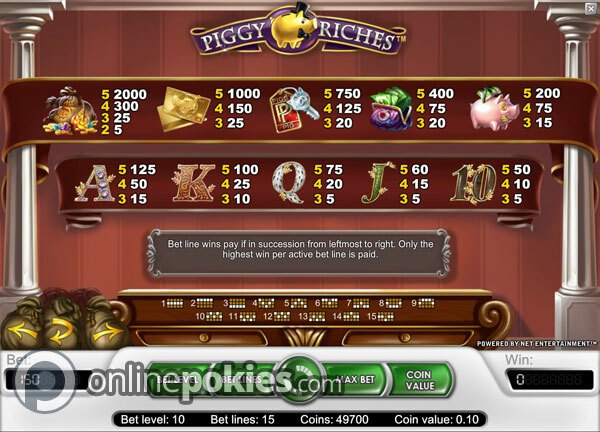 Piggy Riches is a Net Entertainment pokie game with 15 lines and a free spins feature where you can select from either more free games or higher multipliers. Top jackpot is a big 360,000 credits. 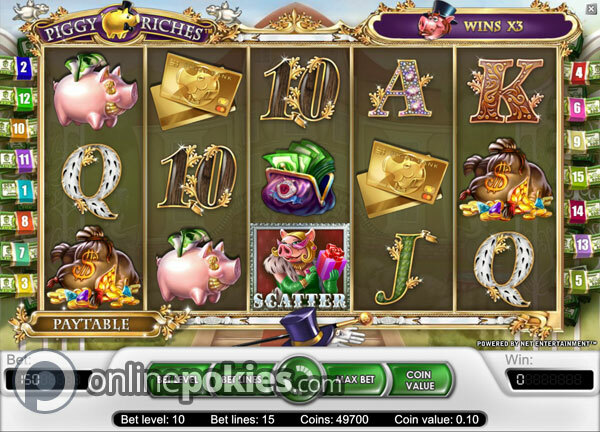 Piggy Riches is an online pokie with free spins and a 360,000 credit jackpot. The free game feature gives you several options much like the feature on games like 5 Dragons or Super Bucks IV. Choose from a higher amount of spins or bigger multipliers for the best possible wins. 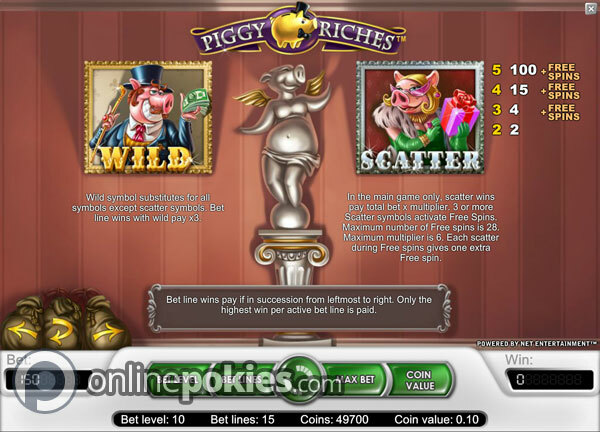 Minimum bet on Piggy Riches with all lines active is 15 credits per spin. You can choose to bet up to 10 credits per line and credit sizes range from 1c to 50c. The maximum possible bet is $75 a game. The Mr. Piggy symbol is wild for everything but the scattered Mrs. Piggy symbols. Getting a wild as part of a win triples the win which works just like the Cleopatra symbol that doubles your wins on Queen of the Nile. Getting five wilds on a line pays up to 60,000 credits during regular play. Get three or more of the scattered Mrs. Piggy symbols anywhere on the screen and you win the feature. 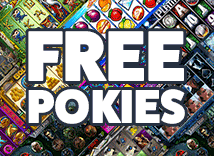 You then get to choose from up to five different free spin options with either more free spins with lower multipliers or less free games with higher multipliers. In our opinion it's better to go with the higher multipliers as every Mrs. Piggy symbol that appears on the free spins gives you an extra free game. This means you have the chance of getting the biggest jackpots while still having the chance of getting extra free spins.